Many people especially kids find that having colorful carpets at their home would light up their heart and it can definitely brighten up one’s day. It is actually a good idea for parents to let their child choose the type and colour of carpet as this also allows kids to discover their own personal taste. This will also build up their self esteem and confidence. Some kids can actually be affected by the stain or dirt on their favourite carpet which is why some people say that there is a strong connection between a carpet and behaviors of kids. As such, carpets have more than one function other than keeping the house warm and cozy. In actual fact, carpets come in different forms and textures which made up of various materials and colours. The long existence of carpets has made them one of the most imperative items in most premises, for kids in particular. How often do you steam clean your Carpet? People who invest money in carpets and rugs must have a clear idea on the importance of professionally cleaning the carpets regularly. Carpets and rugs tend to build up unpleasant odours and become vulnerable to stain or bacteria. Carpets and rugs that are not well maintained and taken care of will eventually accelerate the process of discoloration, which makes it look mundane and dull. We, at Carpet Cleaning for Perth will give you the best advice and service on how to revive your worn-looking carpets. furs, pollen, bugs and so on. This makes the carpets damped once they are moisturized and becomes mouldy over a period of time. Other than losing the original glory of the carpet, this can also potentially create a health issues to all members of the household, which is why some people suffer allergy easily. Some people might think that throwing out dirty and smelly carpet is the only way to restore your surrounding home air back to refreshing condition. But, in fact, there are ways to keep your carpets, rugs, mattresses and upholstery well presented for a long period of time. You will of course need our professional steam cleaning services to handle all the hassles for you, and you can still use your carpets as usual. 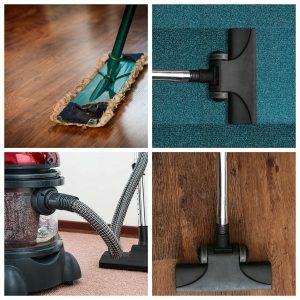 Carpet Cleaning for Perth have the best quality and most effective techniques and cleaning solutions to make sure that your carpets last longer. We will dry or steam clean your carpets as required and deodorise the place before we leave, and your room will smell and feel fresh and clean. Why you should choose Carpet Cleaning for Perth for carpet cleaning service? Reputation of the professional carpet cleaning Perth is paramount. Hiring a professional carpet cleaning Perth means that you are granting the complete access into your home and office. Therefore, it is important to ensure you hire a professional carpet cleaning Perth that can be trusted. You can find out more about the reputation of a professional carpet cleaning Perth by checking for some information and reviews on their website. Professional carpet cleaning Perth have their own websites where they publish evidence of their former clients; these reviews can help you have an insight to the quality of services being rendered by the company. It is also advisable to ask your friends and family for references on the carpet cleaning Perth companies they might used in the past. Experience is very important in carpet cleaning Perth industry. Only experienced provider of carpet cleaning has the knowledge to perform carpet cleaning tasks in a professional manner. In addition, an experienced service provider is aware of the difficulties that may arise during the process of cleaning carpets. They can handle these issues better than inexperienced cleaners because they must have dealt with them in the past. Therefore, it is necessary to hire a carpet cleaner that has provided first-class carpet cleaning services for several years. Another important consideration when choosing a professional carpet cleaner is the number of services. Professional carpet cleaning usually provide services such as Perth consolidation, window cleaning Perth and carpet cleaning Perth. The advantage of hiring a professional carpet cleaning Perth is that you can manage all your cleaning tasks at once. Make sure you find out about all services being rendered by the company and their various prices. Some extra services might not be offered free of charge so make sure you are aware of all terms and conditions before committing yourself and signing the deal. The last aspect to keep in mind when choosing a professional carpet cleaning Perth is the cost. The financial aspect of professional carpet cleaning is why most people avoid hiring professional cleaners. However, there are carpet cleaning Perth services who offer their services at affordable rates. You just have to find them. Carpet cleaning is a tedious task and professionals who partake in it do not only remove dirt and integrated dust in carpets but also restore the carpets to their initial beauty. For the best carpet steam clean service , contact Carpet Cleaning For Perth today. Phone or email Carpet cleaning for Perth at sales@carpetcleaningforperth.com.au or 0424 470 460 to enquire about a quote. We can help with your carpet cleaning in Perth.